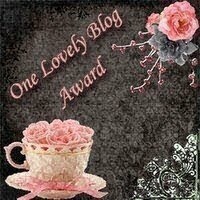 Another week has gone by and it’s time for another In My Mailbox post! In My Mailbox is a weekly book meme hosted by Kristi from The Story Siren, where bloggers post about what books received that week, be it via mailbox, library or store. The New World by Patrick Ness (Amazon Kindle Store – free). Much thanks to Aaron for the heads up for this novella. I don’t have to explain about why I want to get this book, too, right? :) I finished reading it last night and it did not disappoint. Review to follow soon. Review is up! :D If you don’t have a Kindle, you can download the PDF here. That’s pretty much it. See, I told you I was nice to my wallet this week. What’s in your mailbox this week? Hi Justine! Yes, I was able to grab one of the few copies of Grace available in one of the major bookstores in our city. :) I can’t wait to read it! I have seriously got to get to my copy of Monsters of Men asap. 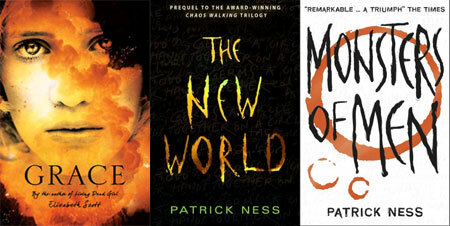 I loved the other two in the Chaos Walking series. ALSO I totally did not realize there was a prequel. I am so excited for you to read MONSTERS OF MEN! It’s an amazing completion to the trilogy. I was teary. Thanks for bringing THE NEW WORLD to my attention. I’m going to download and read that ASAP. Interesting books this week! I hope that you enjoy all of your books! I enjoyed H.P. 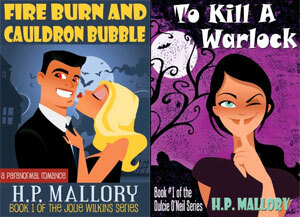 Mallory’s books. Hope you will to. Happy Reading. Check out what was In My Mailbox.